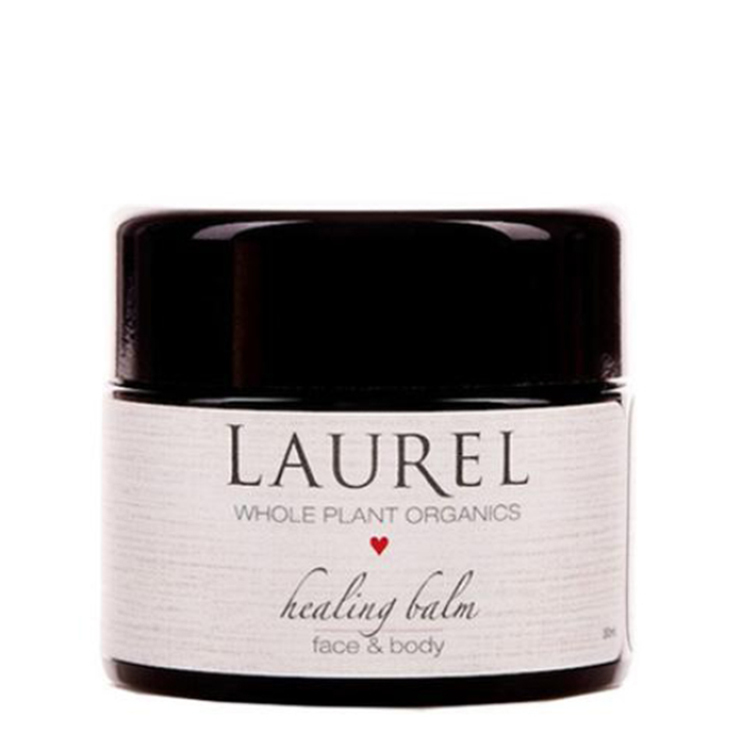 The Laurel Whole Plant Organics Healing Balm offers a feeling of healing and protection to any skin type. This face and body balm features a whole plant blend of calendula, comfrey, lavender, yarrow, marshmallow, and therapeutic grade essential oils to calm signs of inflammation and irritation. This must-have for any beauty cabinet improves the look and feel of a variety of skin irritants, from extremely sensitive faces to occasional cuts and scrapes, and even on to more extreme cases of eczema or dermatitis. Apply a pea size amount onto sensitive skin anywhere on the face and body. May be used on skin overnight. Apply 2-3 times per day to see rapid improvement on areas of skin irritation or inflammation. I use this on little rashes with my sons, as an eye cream most nights, lip gloss, and as a soothing balm for dry winter skin. It's quite literally cosmic. Laurel is a plant wizard.